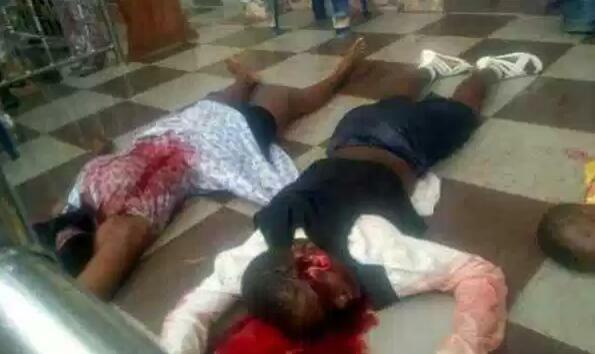 New revelations about the bloody massacre of innocent Ozubulu Catholic Church Members have been traced to a war between two drug traffickers who are based in South Africa. It reports that the unknown gunmen who came in search of the drug lord called “Bishop” and his father, were enraged when they could not locate their prime target because he had left a day before. His group were also being fingered in the murder of about five people since the battle started. 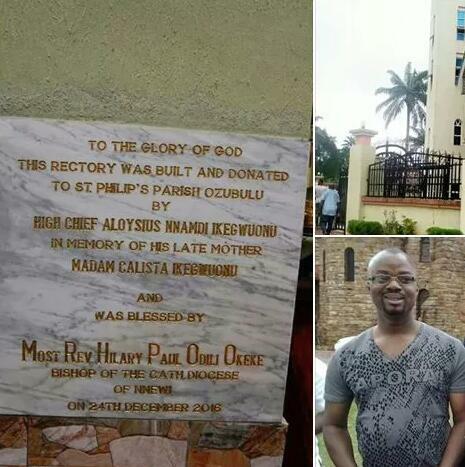 It was informed that before this Sunday attack at the Catholic Church that the Igwe (His Royal Highness, Igwe Fidelis Nnamdi Oruche, Eze Ugodinaobi, Okeife II, The Obi of Ozubulu) had tried to settle the matter about eight months ago without success. He thanked over 50 doctors who were on ground looking after the injured and assured their families that all medical bills will be taken care of by the state government‎. Meanwhile, some residents and people of Anambra have condemned the killing at St. Philips Catholic Church in Ozubulu community. The residents, in separate interviews with NAN in Awka, described the attack as “heinous, unjustifiable and totally unwarranted”. Chief Osita Chidoka, a former Minister of Aviation, said he was saddened by the incident. And the last may not have been heard about the drug related feud as it was reported that the unknown gunmen left a warning that they will be back again in the nearest future unless Chief Aloy Ikegwuonu resolved the matter amicably by settling the parties involved.